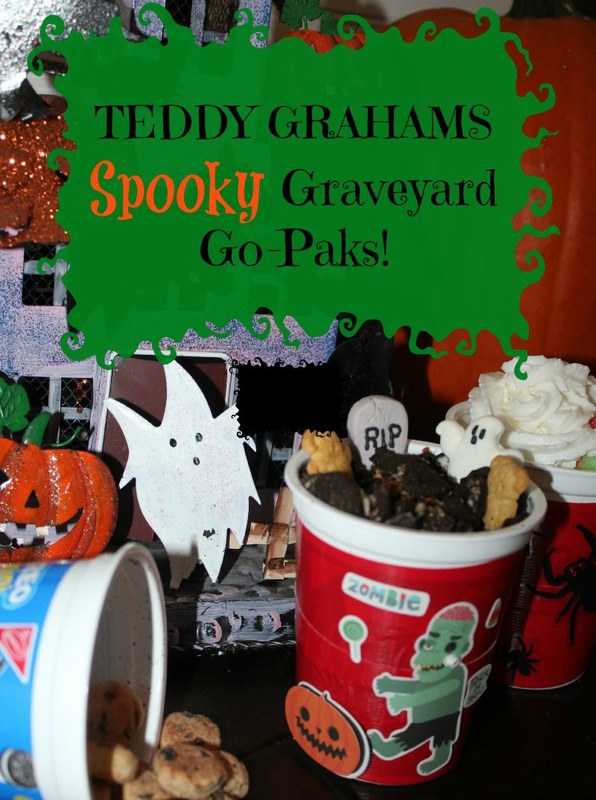 Teddy Grahams Spooky Graveyard Go-Paks! The House of Fauci’s loves to celebrate Halloween. 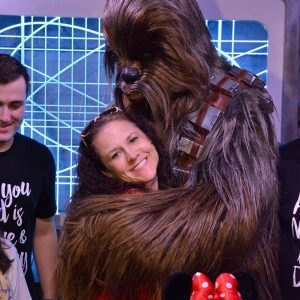 It’s the one season that you get to dress up and be someone or something different and it’s also the season that you get to use your imagination by pretending that ghosts are real and that spooky goblins are at every corner. As Halloween approaches, each week I try and do something fun and creative for my girls and for my daycare kids. This week I wanted to make them a fun on the go treat but I wanted to put a spooky spin to it. After strolling the aisles of Walmart I knew what I wanted to make, Teddy Grahams Spooky Graveyard Go-Paks! I knew that I would be enlisting the help of my 10 year old daughter because this project dealt with duct tape and she is my duct tape pro! While we were at Walmart we were able to get everything we needed for the Teddy Grahams Spooky Graveyard Go-Paks! 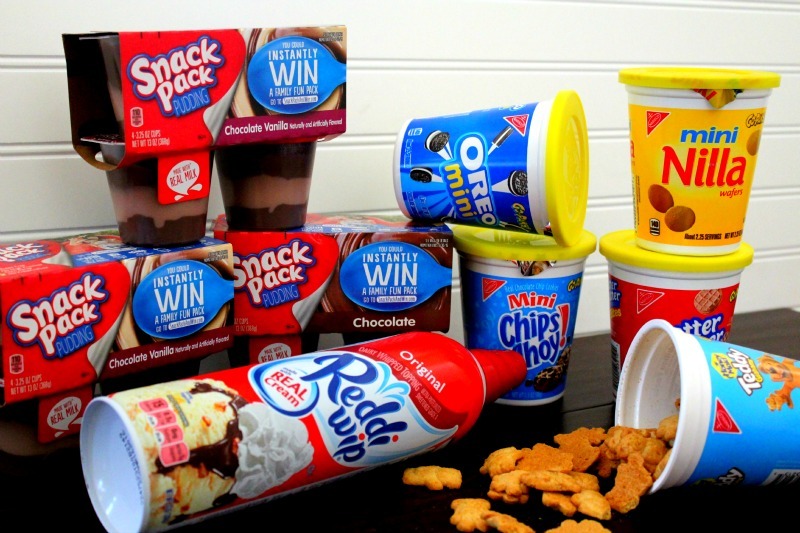 We made sure to pick up a few NABISCO Go-Paks!, Snack Pack® Pudding Cups, Reddi Wip Original and some really fun Halloween toppings. We also made sure to stop in the Halloween aisle and pick up some fun stickers to decorate our Go-Paks! with. This fun treat is so easy and fun to make. It’s also great because you can change it up or you can let your kids get creative and build their own. The NABISCO Go-Paks! are also great because not only are they $1 each, which allows you to stock up on them and use them for treats like this but they are also plastic so they won’t leak and are the perfect on the go snacks. 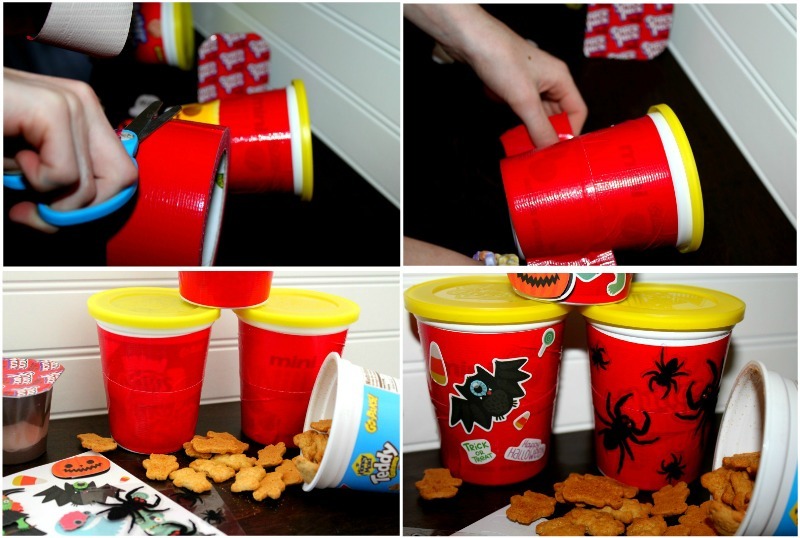 Before we started creating the yummy Teddy Grahams Spooky Graveyard Go-Paks!, we first had to decorate the outside of the cup. While we were at Walmart we picked out red duct tape and really fun and spooky Halloween stickers. I let my 10 year old do this part. She is my little artist and I knew that she would have fun but I also knew that she would be better at this than I would. She simply wrapped red duct tape around the Go-Paks! cup and then added stickers. I can’t decide which is my favorite. 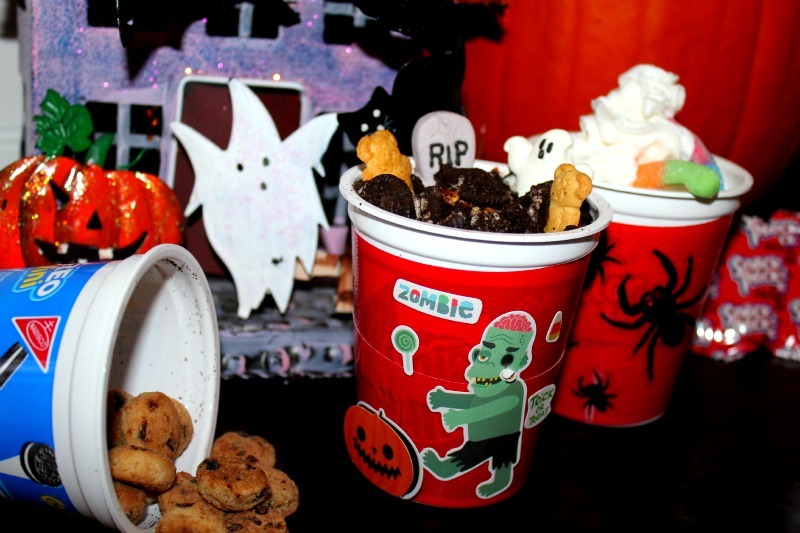 Once the cups were decorated we created the Teddy Graham Spooky Graveyard Go-Paks! Keep in mind that you can change them up and get as creative as you want. NABISCO Go-Paks! are so much fun to get creative with and there are so many endless options. 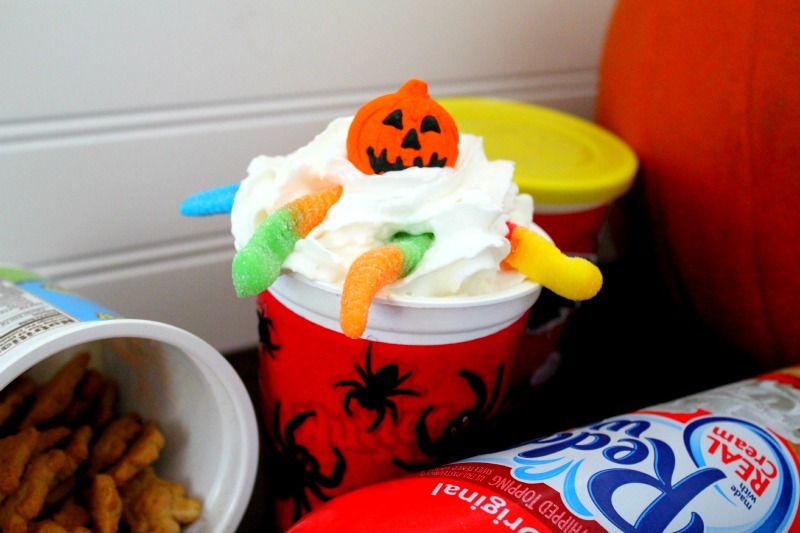 I also, at times, like to skip the Halloween decorations but instead top the cup with a fun amount of Reddi Wip Original and have fun gummy worms crawling out of the top of the big pile of white fluffy goodness. 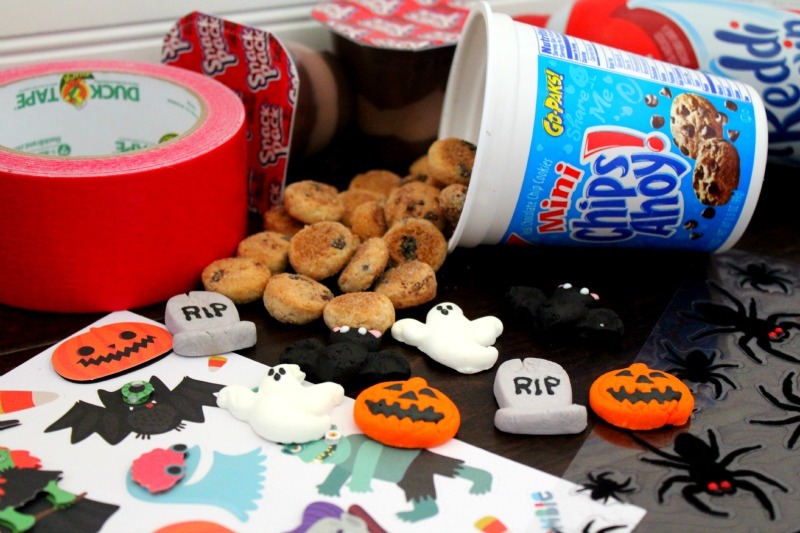 Do you have any creative ideas to add some fun to NABISCO Go Paks! this Halloween season? If you do, before you go to Walmart to grab your supplies, right now you can print a coupon for a BUY ONE, GET ONE FREE NABISCO Go-Paks! 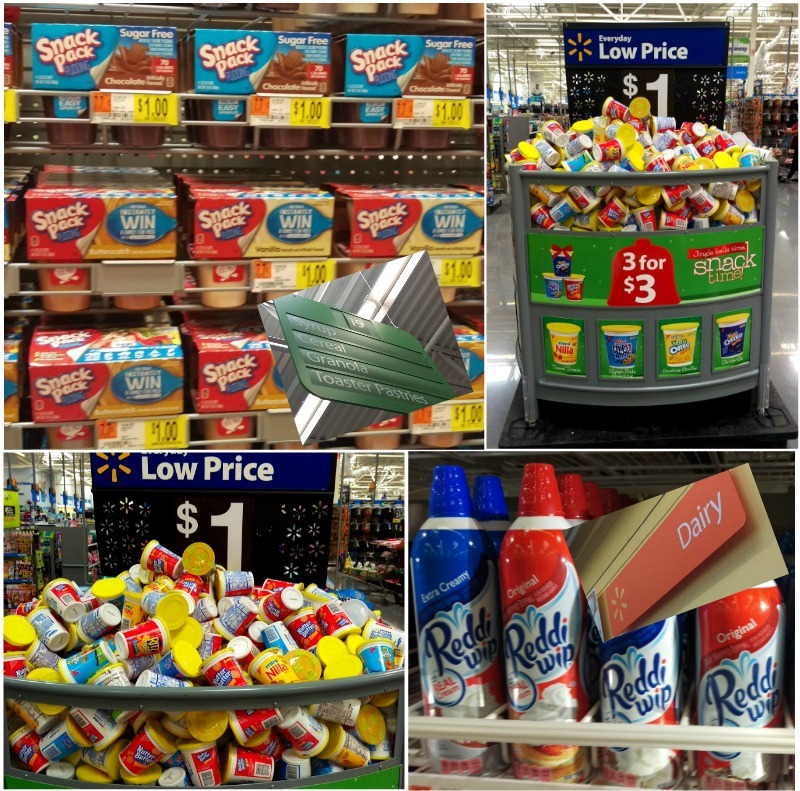 Buy ONE (1) Snack Pack® Pudding and get ONE (1) FREE (up to $1.00) NABISCO Go-Paks! (2.25 oz. or larger). I with with a bunch of parents and their kids I am going to save the spooky graveyard go paks idea for one of our events that we have for the family’s. These go packs are perfect for Halloween. I’m so behind in planning for it this year. That looks like such a fun and yummy snack! I would love to make these for myself…and kiddo of course! These are such a cute and creative idea. I could go for one of those myself. I love the gummy worms sticking out of the whipped cream. I will have to get the ingredients so i can make these. They look so cute and delicious. These look so delicious. I will have to make these for the kids this weekend. They are going to love it. These are so cute! I love making creations like this for my kiddos around Halloween, I do something similar with a milk shake. What a cute idea! This would be perfect for a kids Halloween party! Cool treats for Halloween. The kids would surely love feasting on them. I might make something similar. I must be prepared for surprise kid visits this Halloween. My daughters love those Go Packs! I love how you can customize them for any holiday too! Thanks for the great coupon. That makes it even more fun when celebrating Halloween and the season. Kids sure do love these go packs. What a cute idea. My girls will have so much fun with these snacks. I am a fan of the go packs. They are a pleasure to take on long trips. Aww I love these spooky treats! I’m a fan of those go-paks for when I’m traveling! What a yummy and creative snack. I need to make this for my son. What a fun way to snack. My kids would love those.